Great salespeople earn trust by solving your problems, not by selling what you don’t need. “This comb is fantastic Daniel. It has 100 teeth with a patented design that lets comb air without breaking a sweat. First, it’s the attitude. The tone they use to sell you something is this salesly one, much because of the influence we have from the movies and old school salesman we have ringing on our doors and phones. It’ s almost funny, but when you put anyone selling something, that’s the attitude they emulate by default. This shows how much people misunderstand what doing sales is about nowadays — the paradigm has changed, and people are actually not that receptive to anyone who looks and acts like Glengarry Glen Ross. She should seek to understand my problems in the first place. Understand if and how her comb can help me. If she then realises the comb doesn’t assist me in any way, she shouldn’t insist on selling me what I don’t need. In sales you need people to trust you, especially if you want them to come back in the future. So you should earn that trust and never break it. A good salesman identifies needs and opportunities.yes he would sell a comb to a hairless person because he identified the need of the hairless guy's wife and kids for the comb.and this successful salesman identified the needs beyond the hairless guy and listened,analysed,jumped and made the sale when he knew the the guy has a wife and kids that can use a comb.think creative and out of the box. you will sell. Good salesman quality is not to sell without need justification as that salesman does not want to put her / his credit at stake. 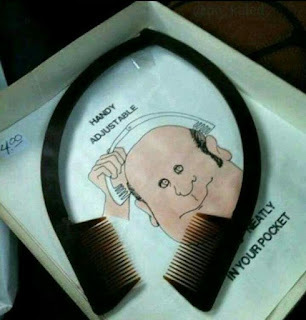 Con sales person will be conning by fixing the right size of cap by selling a comb to bald person and thereafter will never show up again. Yes a salesperson can sell anything even if the customer doesn't need it. But if the customer realized that he went through a fraud or that the salesperson tricked him he won't trust him nor the company he presents. Sometimes we also have customers who buy anything even if they don't need it Just to satisfy something deep inside him/her.